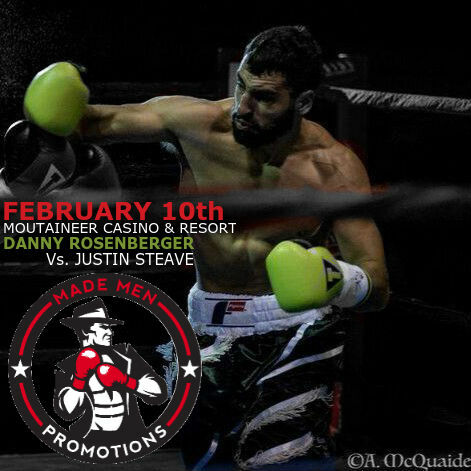 On February 10th, Niles native Danny Rosenberger will be looking for his third consecutive victory as he will take on Justin Steave of Weirton, West Virginia in an intriguing six round match at the Mountaineer Casino and Resort Ballroom. Rosenberger's record of 2-3-2 tells a story of showing no quite, and the willingness to never back down from any challenge including taking highly touted Pittsburgh prospect Gerald "G5" Sherrell the distance on a few days notice. Sometimes when I meet someone I question where someone gets their drive as the question of nature vs. nurture comes into play. 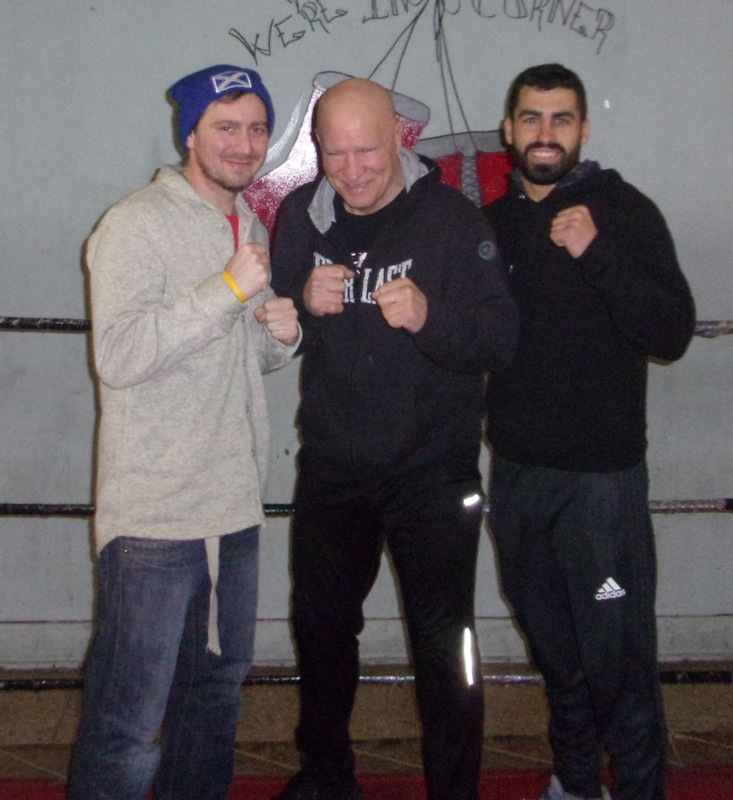 A few days after Christmas I was invited by Danny Rosenberger to come down to the gym he trains at under the direction of Tom Cordell, Downtown Boxing Club, it was there Danny introduced me to his father, Rusty. While Danny trained, Rusty and I got to talking, about Danny's career, life, and of course the sweet science. It only took 15 minutes of talking to the elder Rosenberger to figure out where Danny got his mental toughness and willingness to compete in the ring. The story of Rusty Rosenberger is an amazing one. I personally wish I could sit here and write about the whole story but my writing in no way does it justice so I will just refer everyone to Amazon.com where copies are for sale. I will, however, highlight my conversation with Rusty, a man who looks every bit as in shape and intimidating as he was in his prime. -Started boxing at age 17 at the old YMCA in Niles. - Winner of the Youngstown middleweight Golden Gloves, 1974-77. - Finished 6th in the 1976 AAU National Golden Gloves Tournament. - Won the New Jersey State Championship Middleweight Championship in 1979. - Inducted into the New Jersey Boxing Hall of Fame in November of 2010. The story of Rusty Rosengerger is deeper than a list of accomplishments, however. Rusty's story is more about what he failed to accomplish and why. Though having accomplished more in a short time as a professional boxer than most fighters could ever dream of, Rusty left an unclaimed destiny thus the title of his book "Unclaimed Destiny: The Heart of a Champion". Having sent shockwaves through the boxing community when he defeated former Olympian Reggie Jones for the New Jersey State Middleweight Championship on April 27, 1979, at the Robert Treat Hotel in Newark, New Jersey, Rosenberger was on track to enter contention for a crack at a world championship. against Jones. "Now I'm the number one draw in New Jersey having only lived there a year and a half following my victory". With the belt in hand, Rusty said he stayed true to his training and straight-edge lifestyle. "I never drank, I never smoked, I never did drugs. I Kept in shape. Every morning I ran 5 miles" said Rusty. Though he seemed destined for bigger and better titles, the New Jersey State Championship would be the pinnacle of the career of Rusty Rosenberger. Rusty Rosenbergers New Jersey State Champion belt. "Winning that fight against Jones ended up ruining my career," said Rusty. How could one say that, I wondered. For Rusty it was simple to explain and it took me down the path of the dark side of the sport. "The mafia lost a lot of money that night betting on Jones," said Rusty who would go on to win his next two bouts and improve his record to 15-0. "My next bout was being promoted by Lou Duva, a club show promoter who was panicking over ticket sales for a show at Giants Stadium," said Rusty. "Someone had to be helping fund this show," said Rusty. It was at that moment in talking with Rusty that the dots connected. The mafia was in control behind the scenes of his upcoming bout. Rosenberger was slated to defend his New Jersey State Middleweight title but a few days out from the fight plans changed. "This fights at Giants Stadium was going to feature 5 New Jersy State Champions," said Rusty. 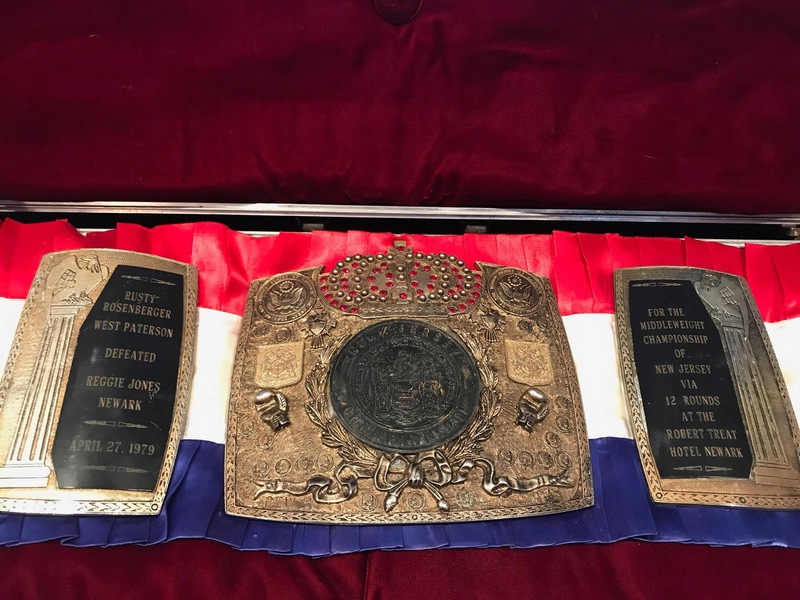 A few days before the fight, however, Rosenberger's fight plans were changed in an attempt to salvage ticket sales and seek revenge on Rusty and he was matched up against Nino Gonzalez, the New Jersey State Welterweight Champion only a few days out from the event. Not only did Rusty now have a new opponent to deal with, but he was also forced to lose an incredible amount of weight in only 5 days. "I had to drop down to 155 pounds from 166 pounds and when I picked my family and friends up at the airport the day before the fight, they walked right past me. That's how much weight I lost" explained Rusty. Not only did Rusty have to deal with extreme weight loss, but at dinner the day before the fight Duva approached him with two pills to take before the fight. "I was not going to take them but my dad pushed me to take them," said Rusty. Taking those pills would alter the career of Rusty who was a tired, lethargic, and took a 10 round beating at the hands of Gonzalez causing permanent injury to his vision and brain. Rusty Rosenberger would go on to fight, even though he admits he should have called a career after that night at Giants Stadium on September 18th, 1979. Following that night, Rusty was a shell of his former self as he would finish his career with a lot of what if's and a record of 20-8. Though the sport of boxing took so much away from Rusty Rosenberger, you can feel his excitement and see a glimmer in his eyes which now give him permanent double vision from that dreaded Fall night when he talks about his fighting days and the career of his son, Danny. "I tried to teach him my way but he's smart, and intelligent and said that he will do it his way," Rusty said of his son Danny. "When I go to his fights, he never fights to his potential, he seems to worry about what I'll say so I stay away" he continued. "He has the basics I taught him, he's fine-tuning those skills into his own style and I respect that". As much admiration as Rusty has for his son Danny, the feeling is more than mutual. "When people come up to me and say they remember watching my dad fight they all seem to say the same things about him. They all say how great he was when he fought locally and how they were always there to watch him because no other fighter was like him. It's a shame what happened to him because he should've been a world champion" said Danny when asked what it's like living in the legacy of his dad. "I do feel a sense of pressure because of the Rosenberger name," Danny said when asked about living up to the family name. "The Rosenberger name has a background of fighting behind it but on the other hand it makes me feel proud and give me the inspiration to be as good or even better than my father was. I hope and believe I can live up to and continue the legacy of the Rosenberger name for both my father and me". I will have more information on Danny Rosenberger's upcoming fight with Justin Steave in the near future and I hope to sit down with Rusty again, he is a pleasure to talk to and a true inspiration and a legend on the Youngstown boxing scene.